They have the hella oontz as well which has twice the amount of buttons of my Push but smaller. I would like to know how the buttons on these things feel. They look like they would have too much travel. The buttons aren't nearly spread apart enough. This is a gimmick to me. Moving this to appropriate sub forum. It's a project. 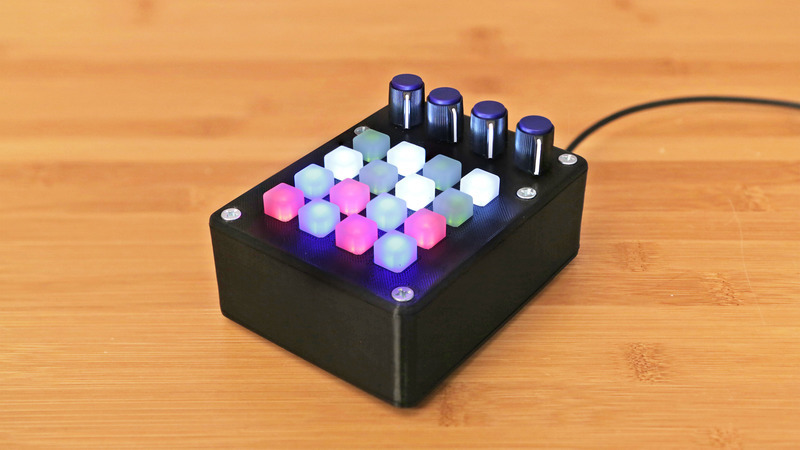 If you are a hobbyist that likes to build something like this, you don't need to stick to the recipe and can use bigger/different buttons if you want to. If you want something more portable or don't like buttons spread too far apart then this might work. I agree with MrDorianJames about wanting to know what the buttons feel like. I bought a launchpad without knowing what the buttons felt like and I hate it. I still use it, because it is a good Ableton grid controller, but if I either manage to find a controller I like better that does what I need then I'm selling it. Either that or replacing all the buttons on the launchpad. Last edited by Stormcaller; 08-03-2014 at 05:33 AM.